The amount of debt the club has paid off has not been disclosed. 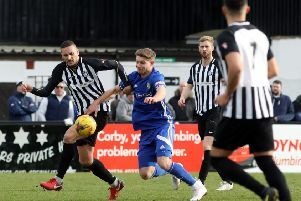 A bid to wind up Corby Town FC over an undisclosed tax debt was dismissed in the High Court in London today (Monday) after the court was told the debt has been paid in full. Registrar Stephen Baister agreed to dismiss the petition after being informed by counsel for Her Majesty’s Revenue and Customs that the debt had been paid. The club was the latest in a string of football clubs to be taken before the court by the tax man with the threat of being wound up. If the club had been wound up, its affairs would effectively have been handed over to an Official Receiver. The Steelmen, who were founded in 1948, will play in the Northern Premier League next season after finishing bottom of the National League North.